In early March, my buddies Mike, Josh & I went to Crystal Mountain for a nice little day of riding. I decided to bring my camera & I asked Josh to bring his Flip camcorder to capture the on-mountain action, since there was no way I was gonna bring my new DSLR riding with us. That'd just be reckless, kids. 'Superclimactic' is a big-time oxymoron here. If you didn't put it together yourself from the ending, Josh's camera died like two minutes after we got off the lift, so we hardly got any riding footage. As such, the only thing for me to do was make a joke of the situation by making the most climactic part of the song the most disappointing moment of the video & somehow explaining the lack of riding shots. I thought my way of explaining it was kind of clever & I think the video is kind of a funny contradiction. Most probably don't catch the humor & likely see it as lame. Oh well, this video was just for kicks & giggles. From a production standpoint, this was shot mostly on my Canon T3i with the kit 18-55mm lens. I saw the limitations of this lens in some of the darker shots in the car. The kit lens is just too slow & forces you to use ISO, which is the enemy. However, I was happy with some of the footage from the ride up, as well as most of the footage I got once we got out of the car. Once we left the car behind, we switched to Josh's Flip which held it's own in good lighting. It's just a bummer about the battery being shot. At least we were able to get enough footage for me to throw together a coherent story. One last thing I'm not to thrilled about was the color-correcting job I did. I went a little overboard & some of the footage favors browns a bit too much for my taste. I tried to use Final Cut Pro's 3-Way Color Corrector tool as a substitute for Apple Color, which I don't think I'm gonna do anymore. I just have to spend more time in Color learning how to color grade my footage. Having said all that, I hope you enjoyed it. I'd heard this song, Palm Tree by Build, and I knew instantly I wanted to edit something around it. Fortunately, a few days later, Jeremy handed over this footage he shot at the '09 event for me to put together. I had a lot of good footage to work with, so I had a hard time narrowing it down to the best stuff to fit into a couple minutes. There were some important shots I almost left out because I thought they were boring, but Almeda reminded me of something that was drilled into us in school, which was to consider the audience & what they want to see. So those shots of jewelry or a pair of shoes I found boring were actually pretty important. Point well taken, Jeremy. Anyways, in the end I think it all worked out well. A few months later, Almeda invited me to help shoot the 2010 event. He handed me his Canon HX A1 & set me loose to capture whatever the vendors were displaying. All of that was going smoothly until the main event started, which was a fashion show. I didn't have time to set up my shots, so I pretty much had to push my way through the crowd to decent spots to capture the models coming out on the runway. I wasn't happy with most of the footage I got, but I guess I got enough decent stuff, because Jeremy put more of it in there than I expected to see. He put in some funky light effects with Luca Visual FX that almost compensated for the crappy quality of my shots. Yet again, the end product was pretty solid. Here's an interesting little side story. 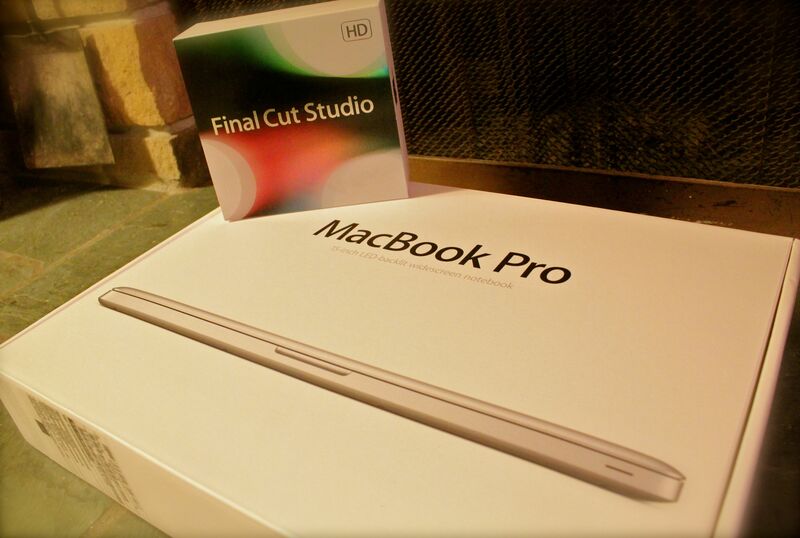 Initially my dad & I bought a Canon T2i and a 15" MacBook Pro with an i5 processor & 320 GB of hard drive space... The timing was almost perfect though, because a little over a week later, the Canon T3i was released as well as a faster version of the Macbook Pro that has an i7 processor & 500 GB of hard drive space. 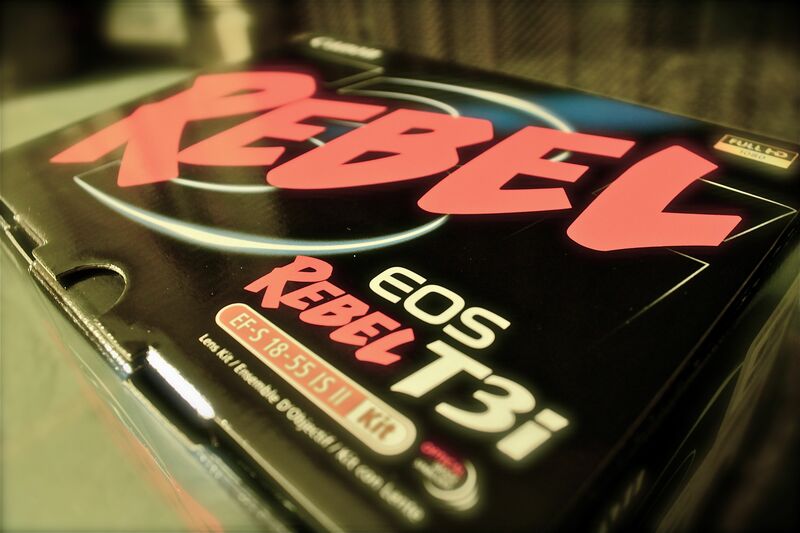 So I was able to exchange the T2i for a T3i by paying only $2.17 in taxes (Check out this link to see the differences). Also, I was able to exchange the i5 MacBook Pro for the faster i7 Macbook Pro by paying only $4.24 in taxes. I call that a good deal. Anyways, I've been taking a lot of photos & making a few videos. I shall be posting the videos here soon, but I also have to post some older projects that I'd done before the Samuel-Has-His-Own-Gear era... there are also a few exciting projects to come over the next few months. In March of 2010 my buddy Jeremy & I shot a music video for my friends' band. Ben & I came up with ideas for the vid' when we were chilling in his livingroom & a lot of them came to fruition here. Our friend Pat was perfect for the role. The guy's freakin' classic, fun to work with & he was patient with us... So was the band, for that matter... Actually, everybody was. From a production standpoint, Almeda did a great job of getting the right shots. Considering the equipment we were working with, the footage came out looking pretty good. Writing the shot sequence was cake but editing the footage was a long, technical process. Then again, when is it not?... In hindsight, I should have color corrected the whole video instead of just a few shots. That was actually my first time ever using color correction & I now know that you can, and almost should, color correct pretty much all your footage. There were a couple more things I might have done differently. For example, we originally wanted to use a mannequin, but after we saw how expensive they were, we (reluctantly) figured a blow-up doll would be second best, despite the sexual connotation that comes with it. Some people were offended. Also, the book he reads, "How To Kiss the Girl"?... C'mon, that title is cheap & so was the plain-as-paper look of the cover. I think it was just cheap of me not to get a better prop. My bad... And lastly, I kinda wish I had made the dream sequence (a third of the way through) a little funnier. A friend of mine pointed out that it's not funny at all & it should be (Valid point, Mike). All in all, though. I'm pretty proud of the vid'. The footage lines up well with the song, which was my biggest concern when editing it. I'm happy with how most of the transitions came out and, in general, how the footage cut together. There aren't any significant breaks in continuity, unless you're looking for them. Fun times making it & I hope to do it again in the future. When my brother was in college he had a friend get some footage of him on his bike... He held onto it for years 'til he handed it over to me so I can have my way with it. He chose the song then let me take over... God bless'im for it. Good times... My brother's baller on his bike. And by the way, I used to ride when I was a kid, but I sucked. In the mid 90's we'd go riding together all the time. He always ended up having crowds gather around him while I was off in the background falling all over myself, practicing my tailwhips... It was fun while it lasted. Thanks for the memories, Tom.